The first rule of marketing is that you need to get the right message to the right person at the right time. So with over four billion Internet users around the world1 how do you find your prospects and how do you get the right message to them?One of the best ways is with online advertising and two of the best options for online advertising are Facebook Ads and Google AdWords. These two platforms offer incredible reach, the ability to target and great ROI. Our team has always used Google AdWords but if you read our blog, The Mezzanine Group at INBOUND17, then you already know that lately we’ve been experiencing great results with Facebook advertising. 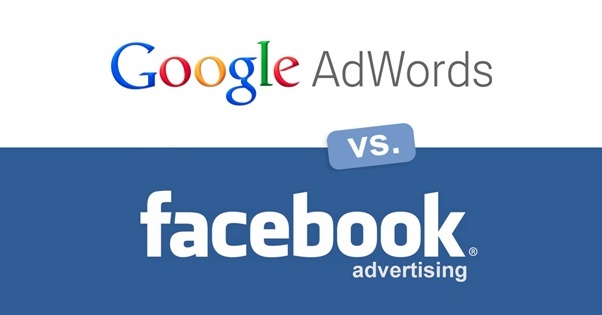 So the question we are asked now is whether or not Facebook advertising should replace Google AdWords? The answer is no. These platforms should not be looked at as adversaries. They actually work quite well together and using them both will allow you to increase visibility, generate leads and drive sales. Google AdWords, often referred to as paid search, offers multiple ways to advertise including text-based search ads, graphic display ads, video ads in YouTube and in App ads2. Google AdWords is all about having prospects find you based on keywords that they are searching. Facebook Ads, also referred to as paid social, are based on interests and behaviours which allow you to get your message in front of prospects who didn’t even know they were looking for you. Do Facebook Ads work for B2B marketing? Since we only do business-to-business (B2B) marketing, we are often told by clients that their prospects and customers aren’t on Facebook, that it’s only for business-to-consumer (B2C). With two billion users on Facebook every month3, we are confident that at least some of your prospects and customers are among the group. What are the differences in reach, cost and conversion rates? With 180 billion Google searches a month, Google AdWords has the ability to reach 90% of all Internet users. Facebook has 1.28 billion active monthly users, giving you the potential reach 43.8% of all Internet users3. But you have to remember that it’s not only about reach. If you are launching a new product or service or have a unique offering that people may not realize they are looking for, then even with a larger reach you may not hit the right people or as quickly as you would want because they aren’t looking for you. Both Google and Facebook allow you to target but it’s not the same. Google AdWords focuses on location, keywords, negative keywords, demographics, language and device as the key factors for targeting your audience. With Facebook it’s about behaviour, interests, audience look a-likes and demographics3. Their average cost per click differs based on a variety of factors one of which is industry. Some are more or less competitive which impacts the overall costs of a campaign. However, an average cost per click on Google AdWords can be $0.35-$5.00 with an average conversion rate of 2.23% compared to Facebook Ads that can have a cost per click under a dollar and have an average conversion rate of 1-2%1. Like everything in marketing the answer is it depends. You need to evaluate a number of factors to be able to determine what is best for your company. You need to consider if you are trying to promote something that people already know about or if it’s something unique that requires you to educate your prospects. You also want to consider industry. Historically we really focused heavily on Google AdWords, but now, most or all of our clients use both platforms to get their message out. Facebook has really been growing in the B2B space and while I wouldn’t say you should use that over Google AdWords, I would say you should strongly consider including some Facebook advertising in your plan and testing it for your audience. Interested in other ways to use Facebook for your business? If so, read our blog Is Facebook Messenger Part of Your B2B Marketing Plan? And if you would like to connect with the B2B marketing experts to learn how we can help your business grow, please contact us today.